Welcome to our ‘Reading Eggs’ Giveaway! Reading Eggs makes learning to read interesting and engaging for kids, with great online reading games and activities. And it really works! Children love the games, songs, golden eggs and other rewards which, along with feeling proud of their reading, really motivates children to keep exploring and learning. Supporting each child’s learning it offers individual, one-on-one lessons that allow children to progress at their own rate. If you’d like to find out how Reading Eggs can assist your child, and to view the products available find them online here. 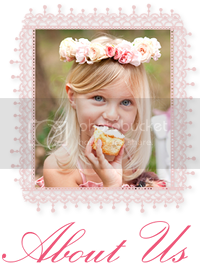 We have a total prize value of over $740.00 to be won by 4 lucky kids! Entry is open to Australian residents who are aged 18 years and over from 7.30pm Queensland time on Sunday 24 November 2013, with final entries to be received by 11.59pm on Sunday 8 December 2013. 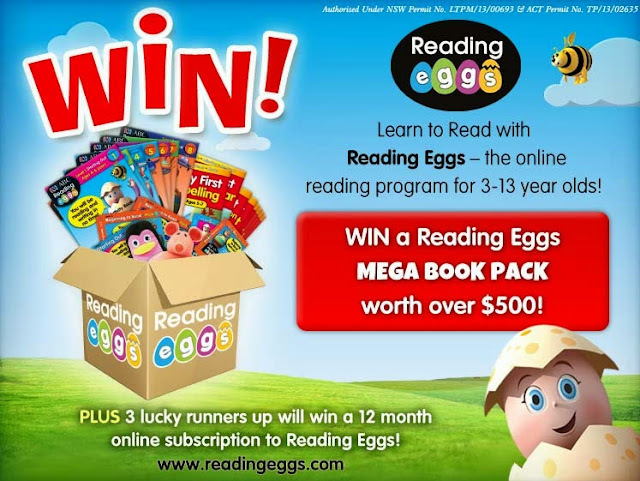 Our main prize winner will receive a pack valued at $501.55 consisting of 1 Reading Eggs Mega Book Pack, 1 twelve month subscription to Reading Eggs, 5 character plush puppets and 1 My First Book Pack. The 3 other winners will each receive 1 twelve month Reading Eggs subscription. 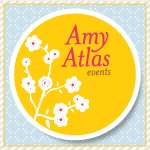 Free entry is via Rafflecopter below to all readingeggs.com Facebook fans. Confirm you are a fan or become one below. Additional entries are available to improve your chances to win! Share the giveaway with your friends and family and we’ll reward you with bonus entries. You can do this as little or as much as you like throughout the giveaway period. Our 4 lucky winners will be randomly selected on Monday 9 December 2013 and contacted via email. We’ll then reveal them here on Wednesday 11 December 2013.